Or DOWNLOAD Radio Saudade Episode 108 (mp3) here. Village blues – Coltrane Jazz, 1961. Harmonique – Coltrane Jazz, 1961. Dahomey Dance – Olé Coltrane, 1962. Afro-Blue – Live at Birdland, 1964. A Love Supreme, Pt. 1: Acknowledgement – A Love Supreme, 1965. Go on – DOWNLOAD Radio Saudade Episode 108 (mp3) here. Tongues of FIRE! Great mix! I listen and think ,”oh John Coltrane messed up a note there”, and then later he repeats the same note, a note somewhere in between two notes, a new note, Coltrane’ s own note, purposeful and controlled and in time and outta time. 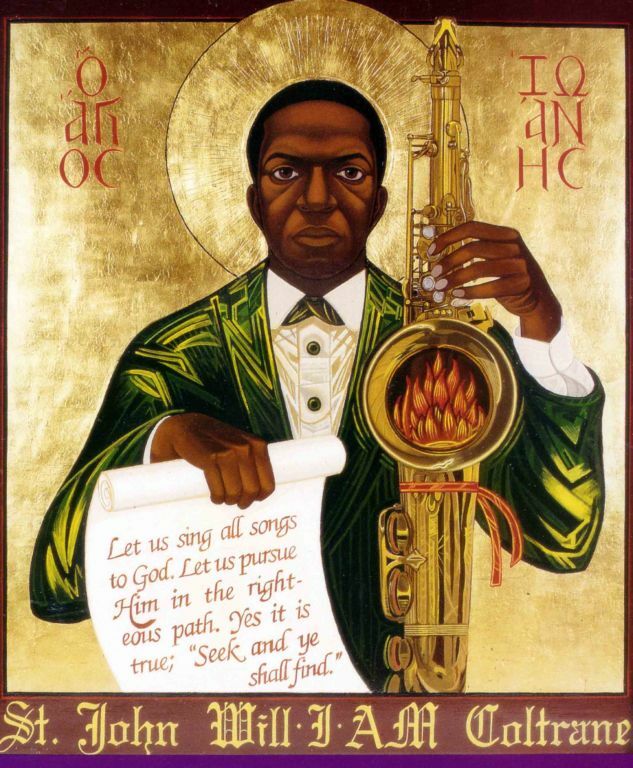 Holding on and trying to grasp what’s he’s rapping about and pushing all the way through flights of fancy to tones so viseral I’m feeling slightly nauseous( in a good way), and then I’m swallowed by sound that brings me into a holy place, Trane’s space. Spacin’jason, that’s the most poetic comment I’ve ever read!